1397: This 1976 Leyland Atlantean AN68 with a Park Royal body was in very poor condition when rescued from Ireland. It has proved to be a major piece of work but is now nearing completion. 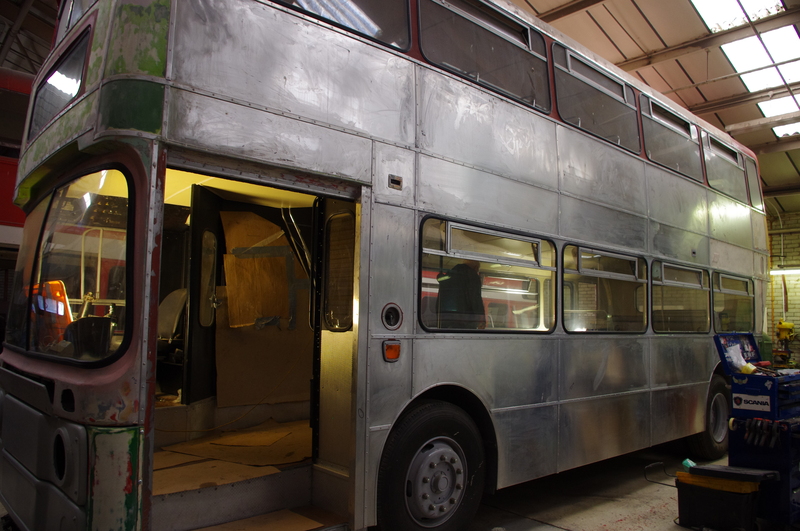 Some mechanical and electrical work is required over the next few weeks and then it will be ready for painting. Will be a welcome addition to our fleet in 2015. 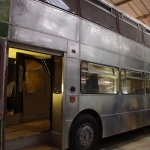 1279: Our White Lady Atlantean required substantial repairs to the lower deck structure which is now almost complete. 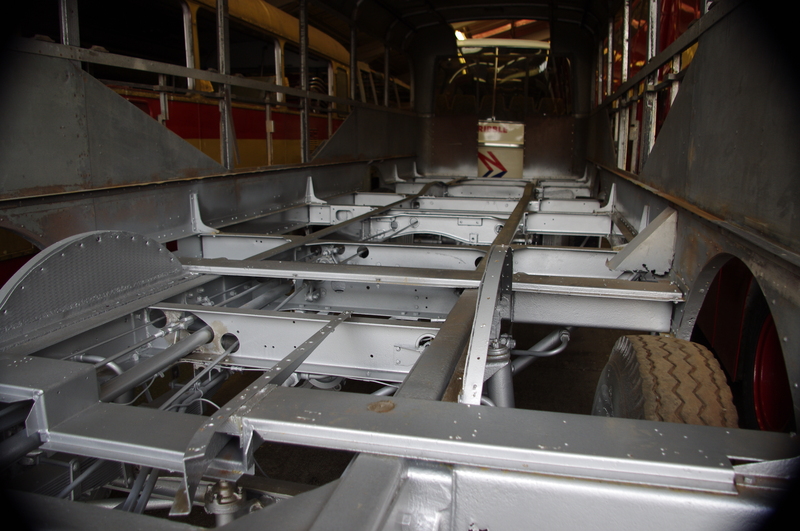 It still requires a major rebuild of the back end of the chassis after which a new floor can be fitted. All its seats have already been repadded and covered with original style moquette. It will be some time before the work is completed but this popular bus will be back in service in due course. 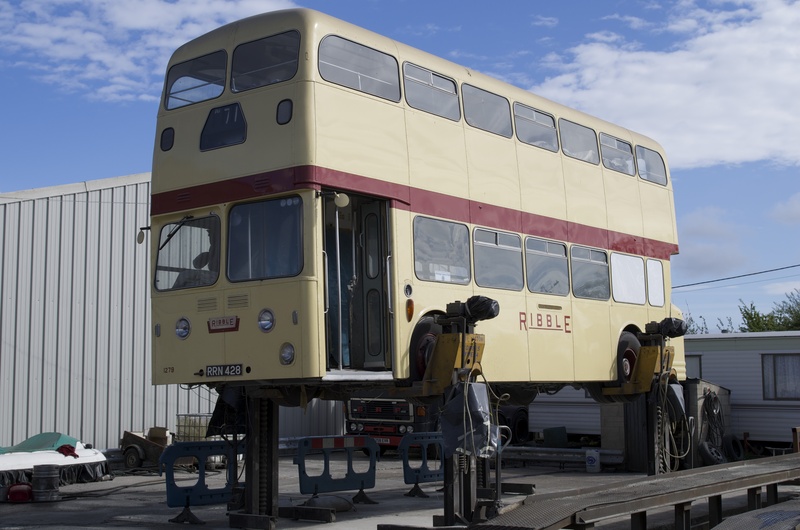 377: This rare Leyland bodied Royal Tiger saloon is being totally rebuilt and is currently a bare shell while mechanical work is completed. The next stage is to fit a new tongue and groove wood floor in the style of the original. 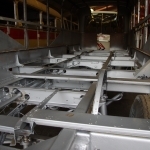 Subsequently we will start work on the body, including rebuilding the back end to original shape. 1019: A Bristol RELH6L with ECW coach body. Although in fundamentally sound condition it is receiving a good deal of attention to its bodywork. When restored it will be to the spec and livery it carried later in its Ribble life as DP rather than as a National Express coach. 1467: A true product of Lancashire. Leyland PD2 chassis built in Leyland, Burlingham body built in Blackpool and operated by Ribble headquartered in Preston. 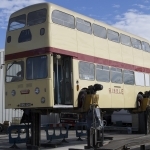 Work is about to restart on its restoration with parts donated from identical 1455. Our collection currently lacks a restored 1950s Ribble double decker so this will be a welcome addition to the running fleet. Other plans are being developed but this will keep us going for a while!